Alina Cojocaru and ensemble from The Hamburg Ballet performing A Midsummer Night’s Dream. Photo: Holger Badkow. Alina Cojocaru and Thiago Bordin of The Hamburg Ballet in A Midsummer Night’s Dream. Photo: Holger Badkow. Hélène Bouchet and Ivan Urban of The Hamburg Ballet in A Midsummer Night’s Dream. Photo: Holger Badkow. Hamburg Ballet’s production of John Neumeier’s A Midsummer Night’s Dream was in fine balance to its signature work Nijinsky, performed the week previously, showcasing the versatility not only of the company dancers, but also of Neumeier himself as choreographer. This balletic take on the Shakespeare classic had its world premiere in 1977, early in Neumeier’s tenure as Artistic Director of Hamburg Ballet, but as Neumeier himself says, the work is still evolving and therefore appears as fresh and contemporary as if created yesterday. Faithful to the original tale apart from minor detail, it sparkles with humour and a lush sensuality that is captivating. As the blue silk billows away in a dissolve to Hippolyta’s dream world of the fairies, revealing a scene of smoky green blackness, the live orchestral music also cross fades to the luminosity of Ligeti’s Volumina for Organ. The setting is matched in its otherworldliness by the fairies in shimmering unitards of creamy lycra with head hugging helmets to match. The movement also changes dramatically into a more organic construct of sharp percussive courus, sometimes in wide fourth position, angular shapes, and thrusting arms and legs. As is often now the practice since Peter Brook’s seminal 1970 theatre production, Neumeier casts the same dancer in the role of Hippolyta and Titania, as Theseus and Oberon, and as Philostrate and Puck, thus neatly and logically tying the world of the Athenians to that of the fairies. In this performance, Bouchet is a languid, serene Hippolyta; long limbed with finely arched feet and gloriously expressive arms. She is an equally fierce Titania, sinuous in sequined lamé as she wraps herself around Oberon, and also around the hapless Bottom (Lloyd Riggins) in a love duet of understated comedy. Urban matches Bouchet well, with a commanding presence on stage as both characters. However, his acrobatic lifts of Titania in the beginning of Act I had some awkward moments. The four lovers are each totally committed in their characterisations; but as the hapless and bespectacled Helena, Heylmann stands out for her beautifully detailed comic performance. It is clear that Neumeier does not use broad, brush strokes in his interpretations. Rather he imbues his work with a detail that adds such depth it enriches our understanding almost without our being aware of it. 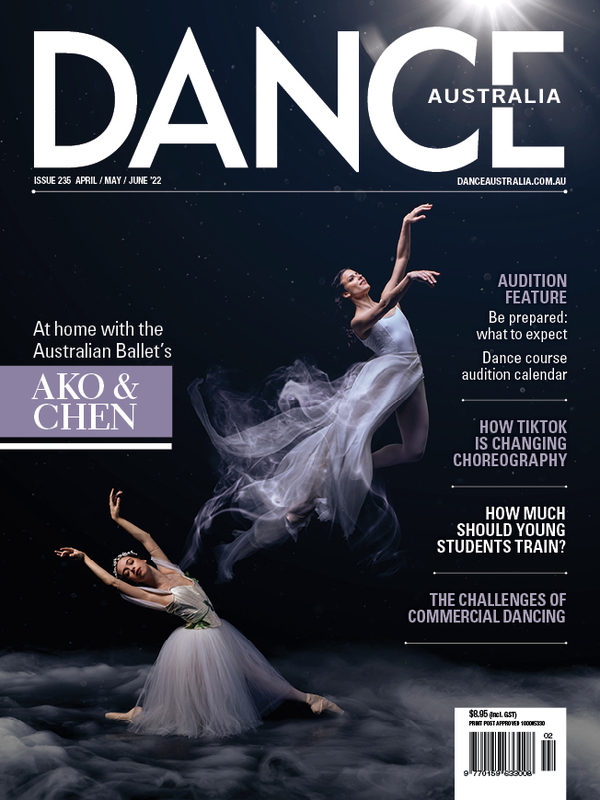 The Hamburg Ballet has made an indelible impression on audiences in its first tour to Australia. It is a company where each dancer is valued an individual, and chosen it seems as much for their ability not only to dance, which they do with impeccable technique and effortless style, but also to act. We can only hope for a return visit. The final performance of Hamburg Ballet’s A Midsummer Night’s Dream is at 7.30pm, 5 September 2012.